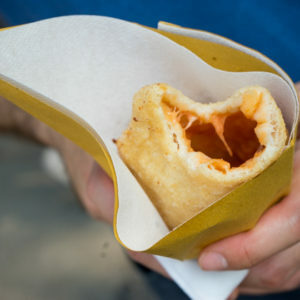 Everyone loves fresh egg pasta either rolled long and cut into strips or stuffed. 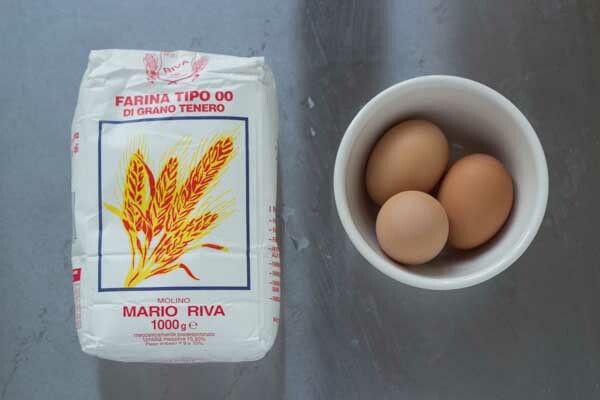 The ratio for every 2 servings is 100 grams of flour per 1 egg. 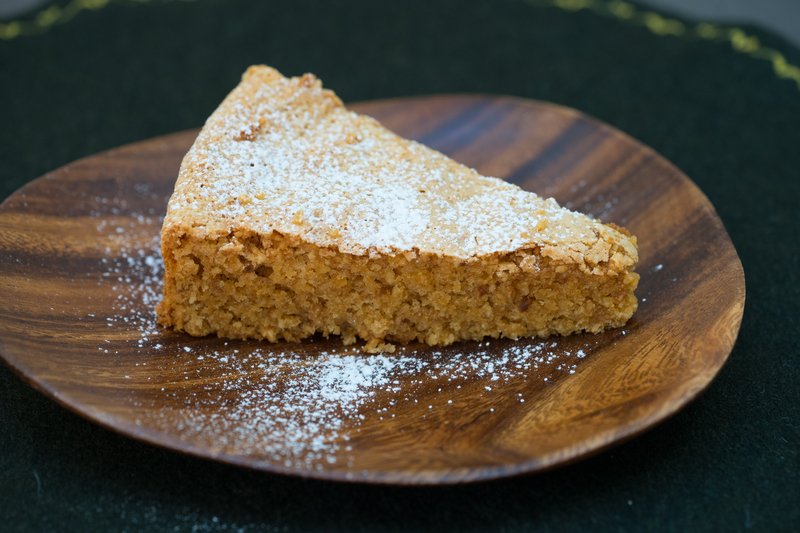 You can vary the recipe according to the number of people using this ratio. Place the flour on your work surface in a hill and form a well in the middle. Break your eggs into the well. Using a fork begin to beat the eggs slowly,. 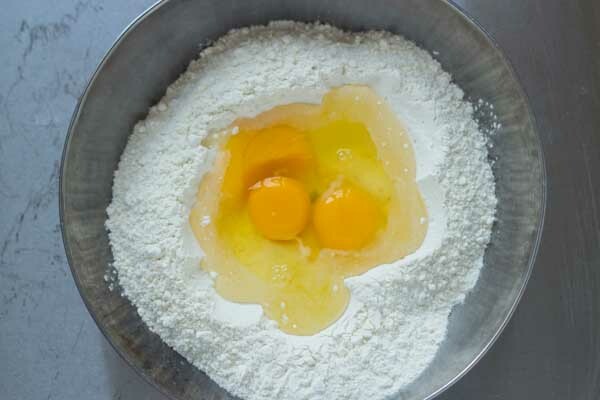 As the eggs are being beaten, incorporate a some of the flour. 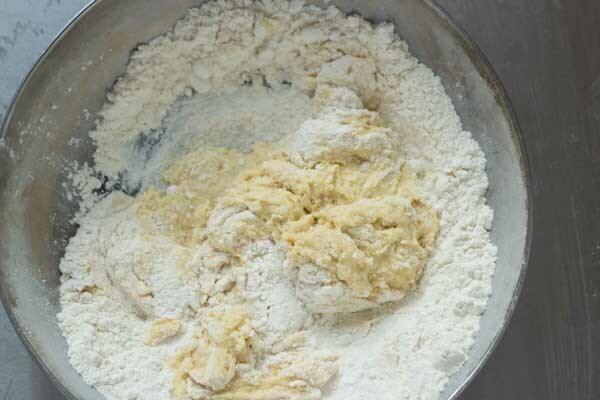 Continue incorporating the flour until half of it is incorporated or the mixture becomes too stiff to work. 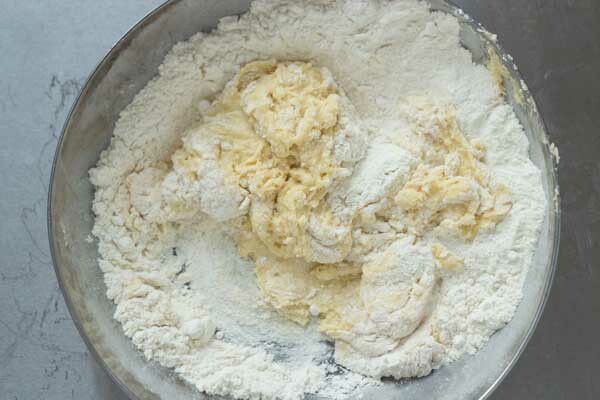 Use your hands and start kneading the dough, incorporating the rest of the flour as you go along. 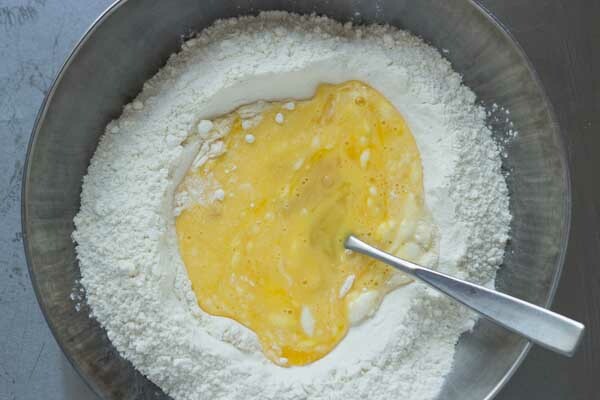 If the mixture is too wet you can add more flour. Knead the dough until it is smooth, about 15 minutes. Wet a tea towel and wring it out as much as possible. 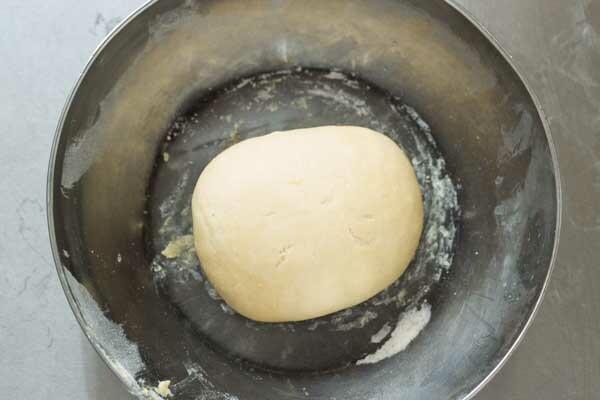 Place the dough under the tea towel or wrap in cling film and let rest at room temperature for 30 minutes. 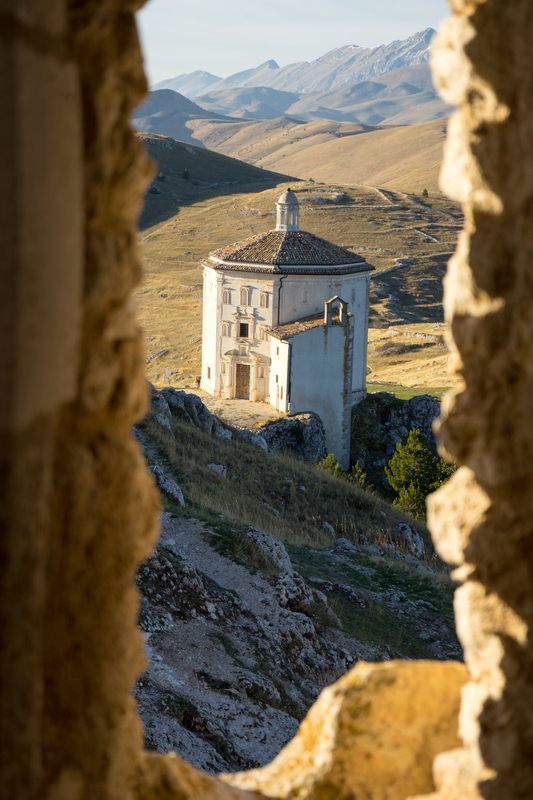 For an illustrated guide on how to roll fresh pasta using a pasta machine, see here Set up your pasta machine according to the manufacturer’s instructions and set it on the widest setting. Cut the dough into four pieces. Keep three of the pieces under the damp towel or wrapped in cling film. Roll the fourth piece of dough through the pasta machine. 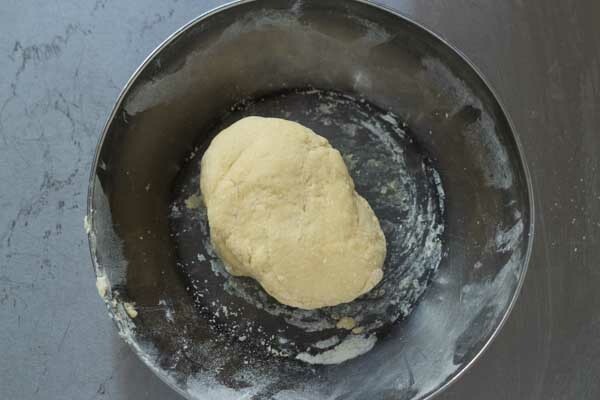 Fold the dough into thirds, turn it 90 degrees so that the folded edges are on the sides and roll the dough again. Repeat folding and rolling again. Turn the pasta machine setting to the next setting and repeat three times rolling and folding. Turn the pasta machine to the next setting and repeat three times rolling and folding. On next thinnest setting, roll the dough through without folding or turning. If the dough sheets become too long you can cut them in half. 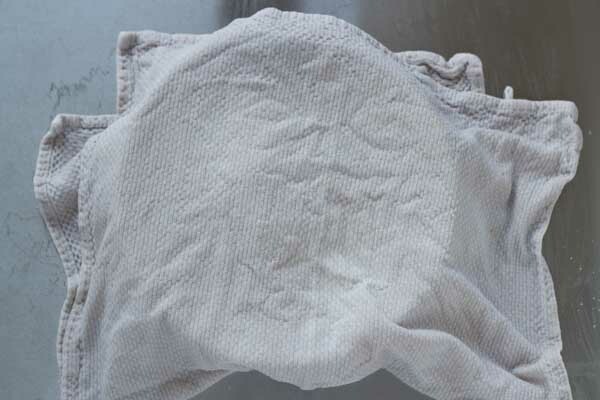 Keep any sheets of dough not currently being rolled on a lightly floured work surface under a damp towel. Roll the pasta sheets once each subsequent setting until you reach the setting indicated in the recipe. Follow the same process for the other three pieces of dough. Any extra dough can be rolled, cut and placed on floured trays to dry for up to 4 days (when humidity is low). There will be some discolouration but this is fine. 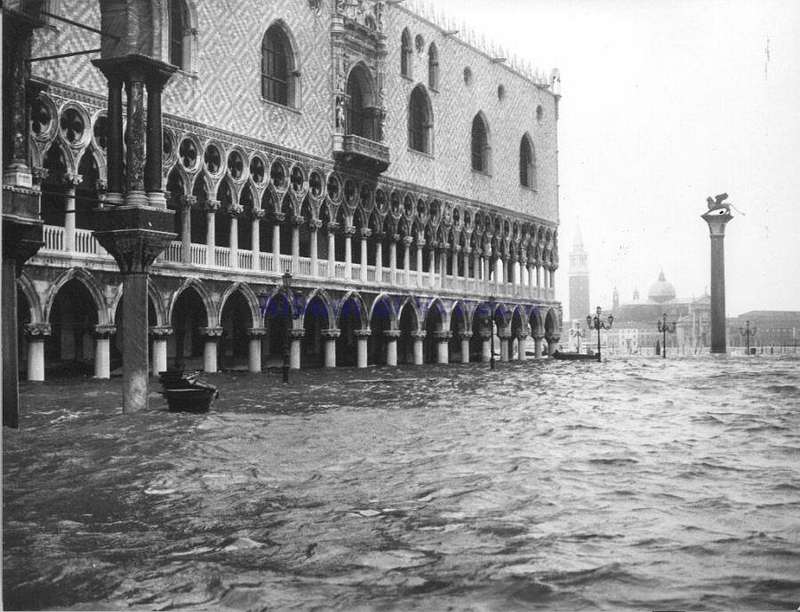 Otherwise, the pasta can be frozen. 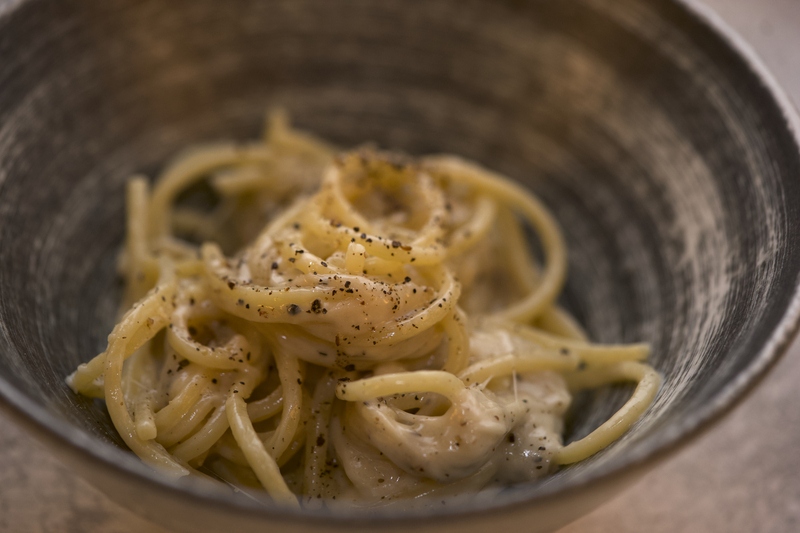 Extra pieces of pasta can be saved and grated on a coarse grater into soups or cooked and served with grated pecorino cheese and freshly grated black pepper or with carbonara sauce. 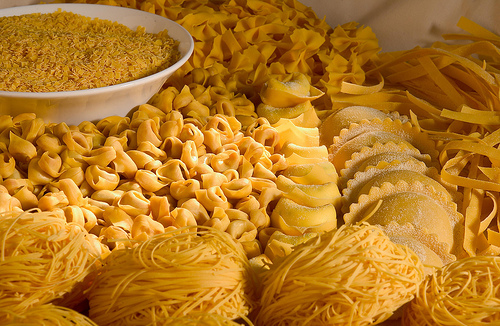 Misshapen cuts of pasta can be saved and served as is (called maltagliati).